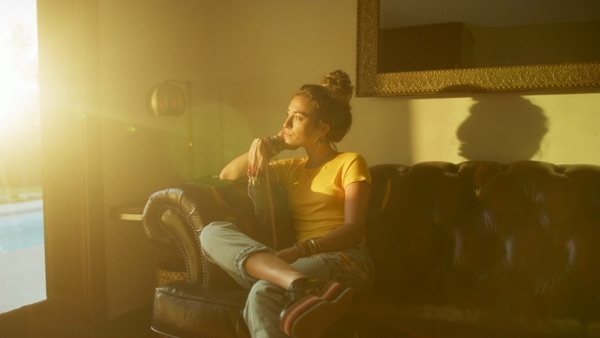 "You Say" is a song by American contemporary Christian music singer and songwriter Lauren Daigle. It is the lead single from her third studio album, Look Up Child. Written by Daigle, Paul Mabury and Jason Ingram, it was released as a single on July 13, 2018. It reached No. 29 on the Billboard Hot 100, her first entry on the chart. It is also Daigle's third No. 1 on the Hot Christian Songs chart. The song debuted at No. 22 on the Christian Airplay chart, becoming the best start for a non-holiday song by a solo female artist in over eight years, since Francesca Battistelli's "Beautiful, Beautiful" debuted at No. 21 on March 20, 2010. The song spent 39 weeks at No. 1, breaking "Something in the Water" by Carrie Underwood's record for the longest reign by any solo artist in the chart's history.The song was a huge Christian radio success, peaking at No. 1 on multiple different charts including the Christian adult contemporary (AC) radio chart and Christian AC Indicator chart. It was released to mainstream radio on January 15, 2019 by Warner Bros. From there, it reached the Adult Top 40, Adult Contemporary, and Mainstream Top 40 charts. It was the second biggest Christian song of 2018, according to Billboard. It was also featured in Now That's What I Call Music!, Vol. 68. It won the 2019 Grammy Award for Best Contemporary Christian Music Performance/Song. It was also nominated for Top Christian Song at the 2019 Billboard Music Awards.. When I am feeling hopeless, I will listen to this song and think of the positives and most importantly god. Lauren could be Adele if you didn't see her name or video. She is an amazing singer.